So where do you start when celebrating 20 years of downhill racing on Aston Hill on the Black Run.? At the beginning I guess. 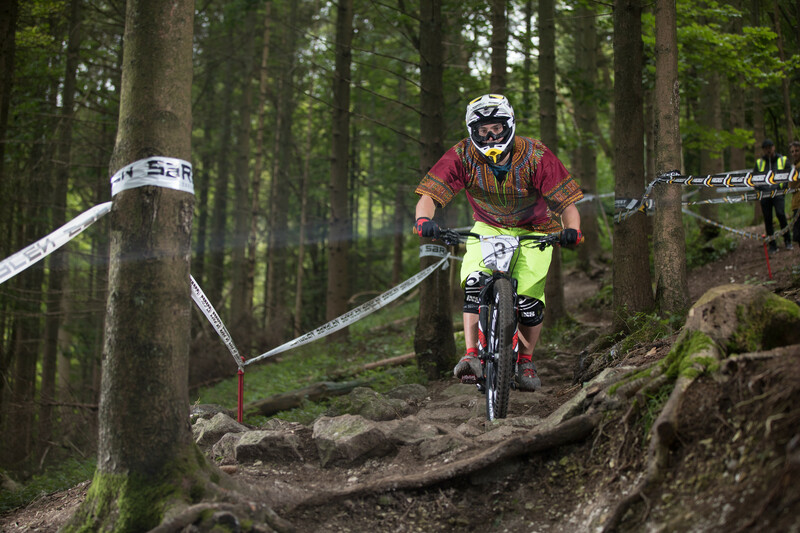 Graham Stubbings throwing it back for Black Run 20 with early 00’s bike and kit. Back in September1997 the Southern Area Mountain Bike Series (SAMS) rounded out the Series on a little known Downhill Track in the Chilterns with Giles Austin and Tracey Moseley (who new what she would go on to achieve) wining the Elite Category races on the day. From there Aston Hill Mountain Bike Area was born and as they say, the rest is history. Roll the clock forward 20 years and Aston Hill has earned a reputation as one the best Bike Parks in the South and the Black Run is still up there as one of the steepest and most challenging race tracks in the region. 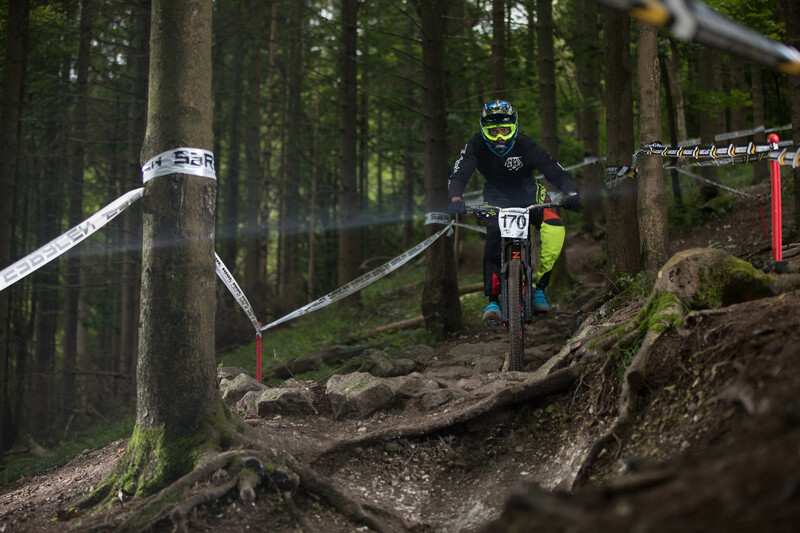 The Black Run since it was first raced has either been loved or loathed by downhill racers. 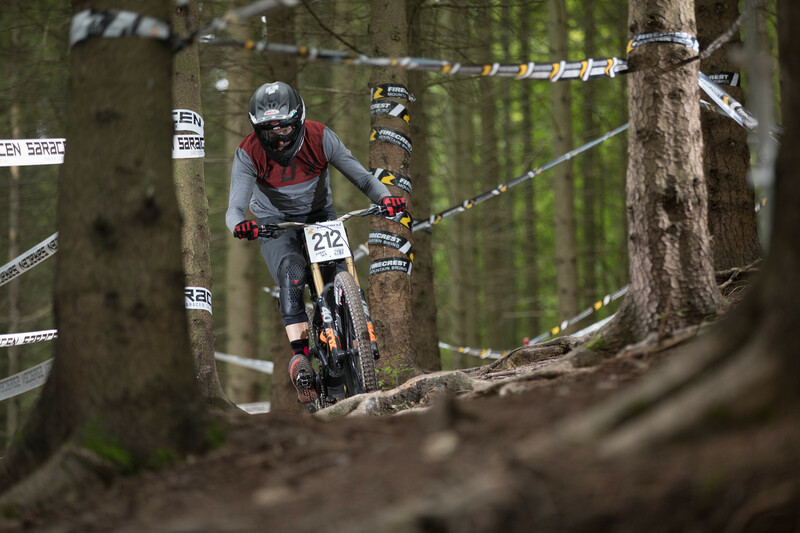 It’s seen some of the fastest riders on the planet go against the clock between the tapes and it has evolved into what it is today, after 20 years being ridden, raced and exposed to the elements the Black Run still polishes up to be the stage for a great day of downhill racing on Aston Hill. With just 5 riders toughing it out on their Hardtails it was a very stylish (check out the shirt) Nathan Wood that set the pace with a run time of 1:37:65 on his second run to take the win from Finn Chapman. Graham Stubbings (Long live The Hill) has been racing on Aston Hill since 1998 after being inspired by watching the first Black Run race in 97. 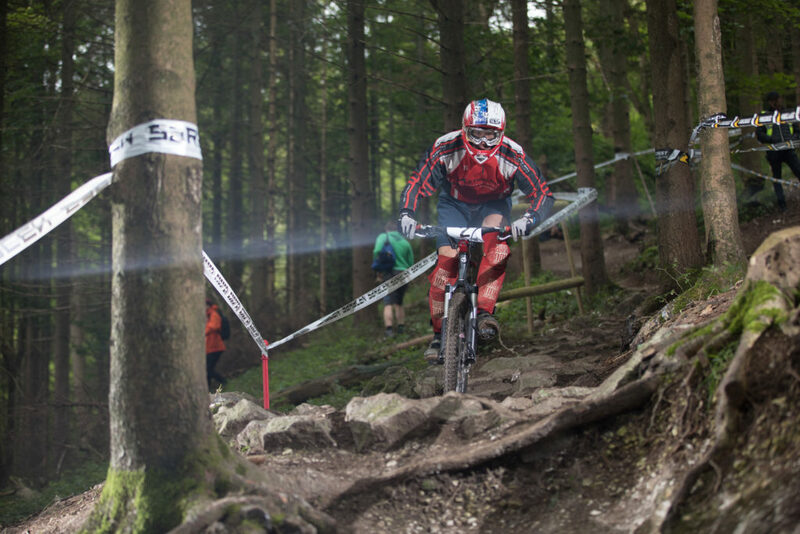 Graham dusted down a Retro Hardtail to clock a time of 1:49:09 on his second run and take the 3rd step on the podium. Nathan Wood doing it in style and taking the win in the Hardtail Category. It was tight at the top with Luca Thurlow (Mansion House Consulting) just edging out Dominic Platt by 1.23 seconds for the win on 1:40:42 and 1:41:66 respectively. Achill Sweeney rounded out the top three with Nathan Diwell-Wilson in 4th and Freddy Kane in 5th place. Tom Shakespeare (Firecrest MTB) backed up his win at the Ricochet Race with another on the Black Run, setting a time of 1:35:07 with Travis Diwell-Wilson in 2nd and Patrick Ridge (Sutton Cycling Club/C&N Cycles) in third, edging Alonso Barbour into 4th place by 0.07 of a second. 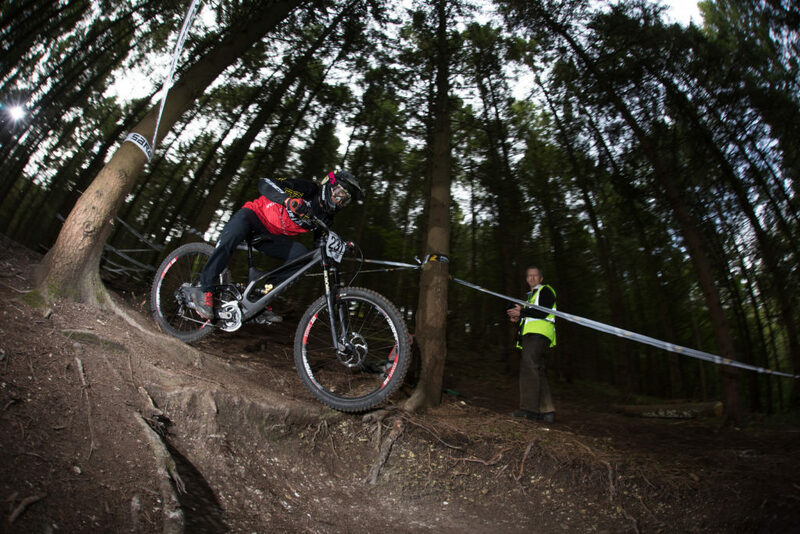 Tom Shakespeare takes the win in the Juvenile Category putting a summer of training with Firecrest MTB in action! 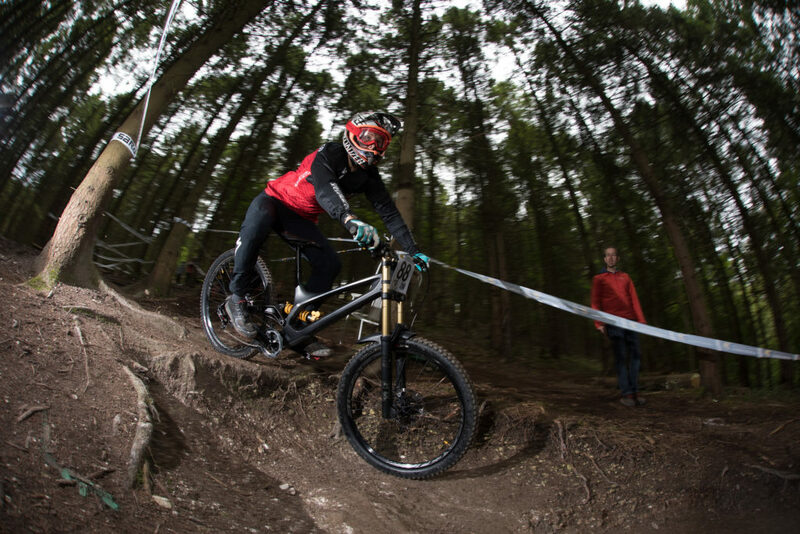 The first of the close winning margins of the day saw James Perry (Firecrest MTB DeVo) just edge Jeremy Coe (Southern Downhill Riders) into second place by just 0.62 of a second, setting times of 1:31:83 and 1:32:45 respectively. It was close for third place, with Fin Stockings (OTEC Bikes) just edging out Tom Barrowcliffe (Firecrest MTB/DeVo) by .28 of a second. James Perry push on in his second run to edge out Jeremy Coe. Two more FMTB Trained riders on the pace! The Junior Men were in no mood to hang around. Owen Martin (Grips Bikes) set the pace on his first run stopping the clock on 1:26:69. Then shaved over a second off his first run time to record a time of 1:25:28 on his second and secure the win. Jordan Beighton (Kreek Racing Team) leapfrogged Team Aston Hill’s Josh Mead on Run 2 to finish second with times of 1:26:38 and 1:26.75 respectively separated by just .37 of a second! Josh also took home Jake’s Cup the Trophy given to the fastest Junior local to Aston Hill. The Trophy has been given out since the year 2000 in memory of Jake Saintey the original Junior DeVo Rider who was sadly killed in a car accident in May of 2000. The Trophy is given out in memory of Jake and Josh’s name will be added to the trophy. Owen Martin lit up the track nearly taking the fastest time of the day and just loosing out to his uncle. Conor Buxton and Warren Field (2to1 Racing) were separated by .07 of a second, on 1:27:91 and 1:27:98 respectively. Pete Robinson (Firecrest MTB Team) rounded out the top three on 1:29:99 in third place. The race was also the last for Team Aston Hill’s Alfie Kilner. Alfie is taking time out from racing. He’s struggled to get back on the pace after breaking his leg last year so is taking some time out of racing to refocus. All the best Alfie, thanks for the years of racing. Alfie has been with Team Aston Hill from day one racing from Juvenile though to Senior Category. John Holbrook (Firecrest MTB Team) set the pace on his first run and shaved 3 seconds off his first run to record a second run time of 1:27:45 to take the top step of the podium. Ben ‘Deakinator” Deakin (DMR Bikes/Mucoff) set a time of 1:29:60 to come home in second with Mountain Mania Tring’s James Weaves (Mountain Mania Cycles – Tring) in third. John Holbrook has done more races on the Black Run than most. Putting that experience to good use to secure the win in the Masters. In the men’s 40+ category the guys were out to prove age is no barrier to setting a quick time. Shane Maciak (Norco) Just edged the win on his second run in the closest top three of the day. Shane’s time of 1:34:93 was just .27 ahead of Alex Bayne (The Muddy Bikers) on 1:35:20 and Rich Simpson (GT Bicycles) one of the few racers to have raced at the first Black Run race in 1997, in third place only .86 off the top step. Rich Simpson set the pace in run one and got edged into 3rd on the second runs. One of the few riders to have raced the 97 Black Run race! 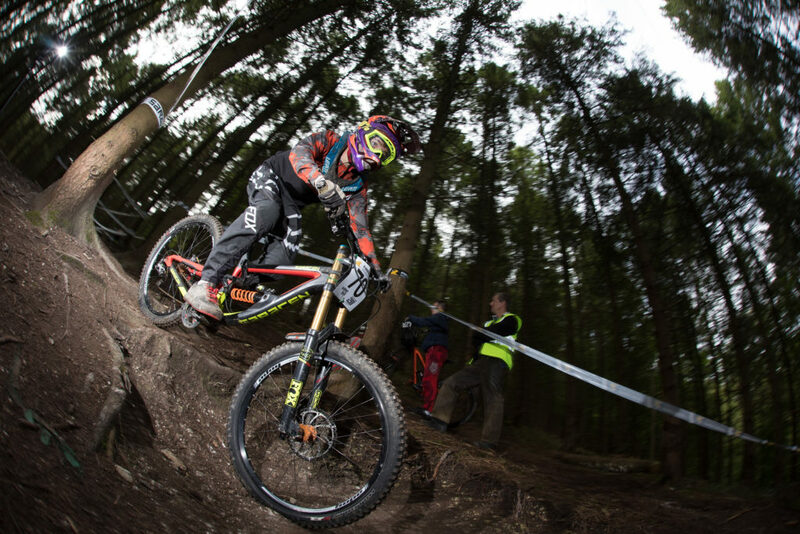 Team Aston Hill’s Ellen Flewitt and Tayla Nevard (Calibre Bikes/Firecrest MTB) battled it out for the top spot. Ellen’s time of 1:51:12 saw her take the top step with Tayla putting in a great run to record a time of 1:12:37. Thanks to Flare clothing for supporting the Ladies Category racing on Aston Hill. hopefully there will be more girls and women racing on Aston Hill in 2018 inspired by Ellen and Tayla. 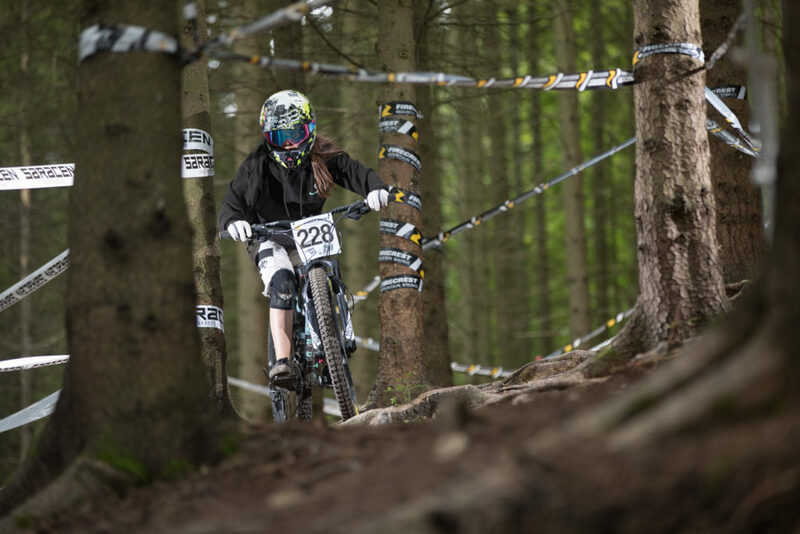 Tayla Nevard inspiring the next generation of female mountain bikers. What the Expert/Elite Men’s field lacked in depth it made up for in talent. 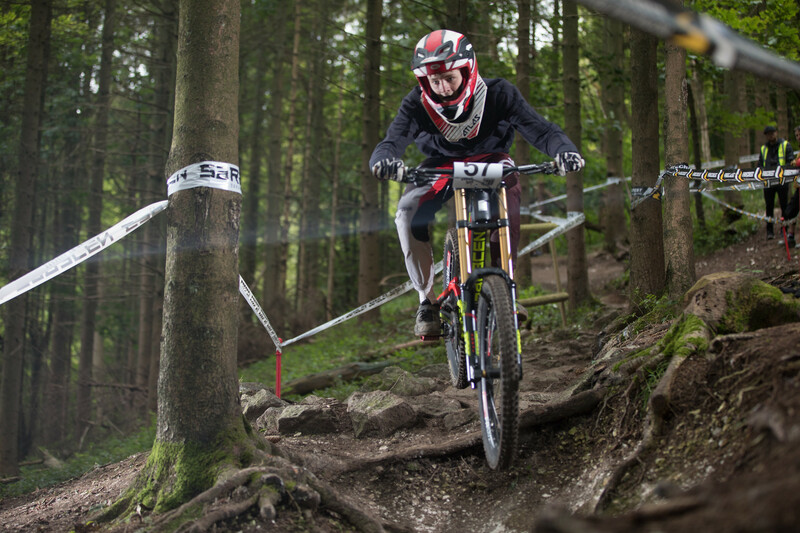 Glenroy Martin (Grips) is a former Team Aston Hill rider so no stranger to the Black Run. He put his knowledge to good use to set the fastest time on his first run with a 1:25:87, then going quicker on run 2 to record the fastest time of the day on 1:23:80. Thomas Davies (The Riders Guild) leapfrogged Darren Evans (Stanton Bikes) on his second run to take second place by just .3 of a second. With Darren leaving everyone scratching their heads as to how he can get his Stanton Hardtail from top to bottom on the Black Run in 1:28:12. Glenroy also added his name to John’s Shield donated in memory memory of John Flood and awarded for the fastest time of the day. Glenroy Martin set the pace. Super fast on both run’s taking fastest time of the day. So that’s Black Run 20 in the bag so now on to the 21st race and beyond. Hopefully we will all be back again in 2037 to celebrate 40 years of racing on the Black Run. Thanks to all of our Sponsors and Partners. Please go and check out their websites and catch up with them on social media, as your support enables them to give our podium places such great prizes. Thanks to everyone who has supported Black Run 20 on Aston Hill plus my Organising Team, ever understanding family, all of the Marshals that have been out on the Hill, Dean on traffic management, Sophy and Gareth on registration, the First Aid Crew, Bill and his catering team, farmer Bill for the field Mike from Mikrotime, the Aston Hill Volunteer Committee, and the Forestry Commission for their continued support. 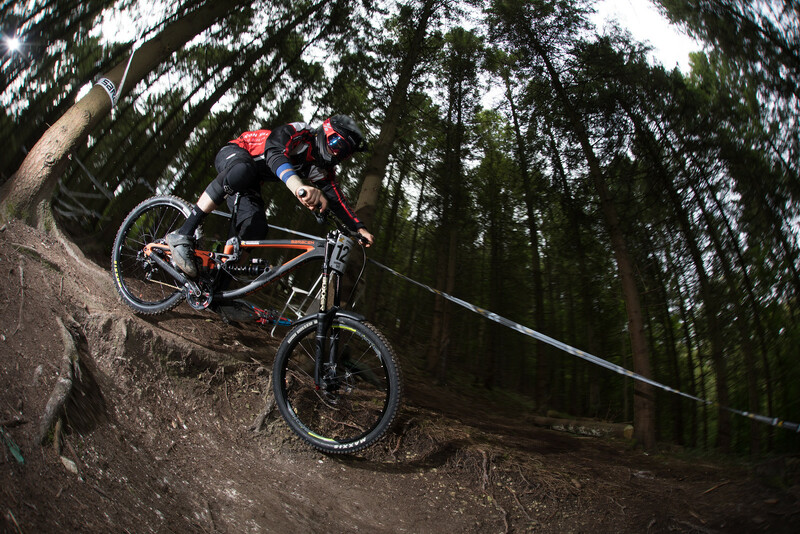 Keep an eye on the Firecrest MTB website for news on the 2018 races and events on Aston Hill.